Madison is a real treasure. We took our kids on vacation to Georgia to visit some family and Madison was one of the top destinations on our list. My husband and father-in-law are both history buffs and even though I grew up in Europe, American history has always fascinated me. And Madison is rich in history with a strong heritage that they’ve preserved through the generations. Whether you’re interested in history or simply appreciate vintage beauty, Madison is a wonderful town to visit. 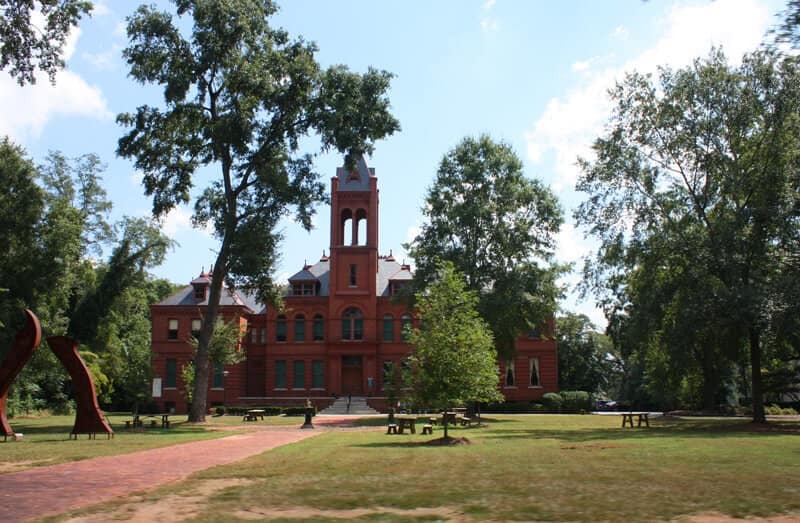 With beautifully restored homes and a variety of shops, restaurants, art galleries and museums, Madison has done a truly remarkable job of preserving its small town charm. The streets and buildings are very clean, reflecting the pride of its community of 3,700 people. In 2001, Madison was voted the #1 Small Town in America by Travel Holiday Magazine. 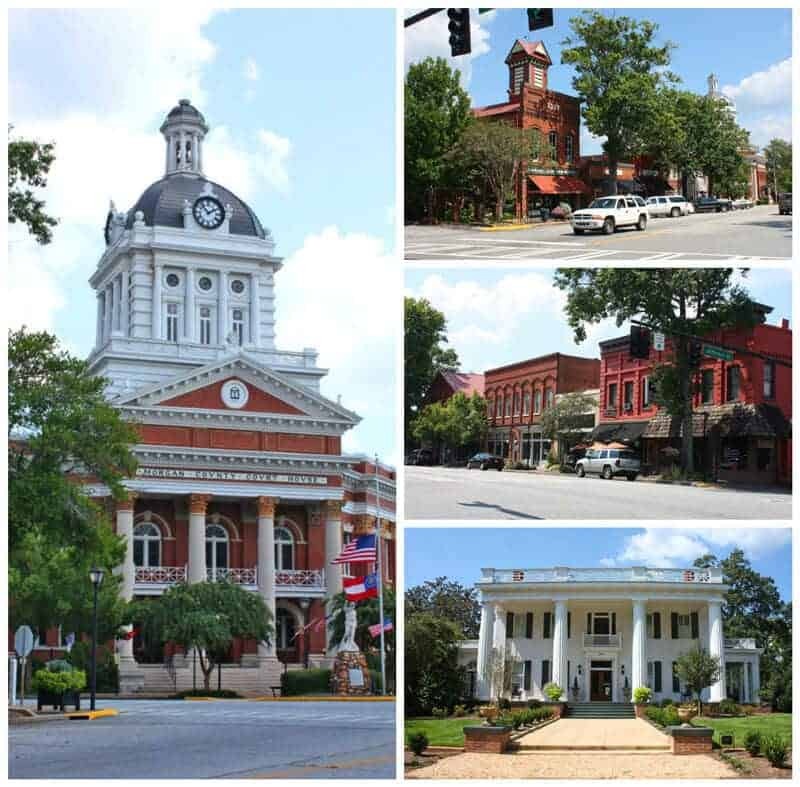 Founded in 1809, Madison is one of the best preserved antebellum towns in the South and has one of the largest historic districts in Georgia. 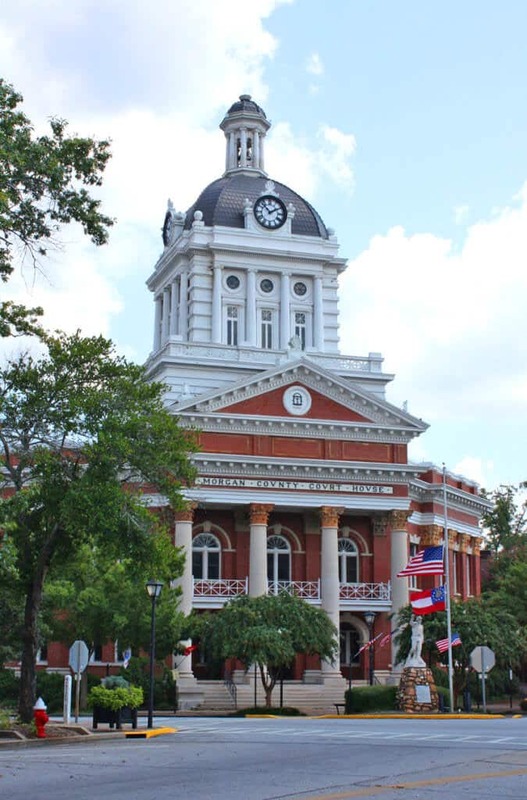 Tourists come from all over the world to admire the beautifully preserved antebellum architecture. Madison was named in honor of James Madison, the fourth U.S. president, who incidentally was inaugurated the year Madison was founded. Its main streets are also all named after U.S. presidents. Recognize Madison from the bill? Yeah, I’ve never even seen one but definitely wouldn’t object to owning a few. Madison is extremely well-preserved. 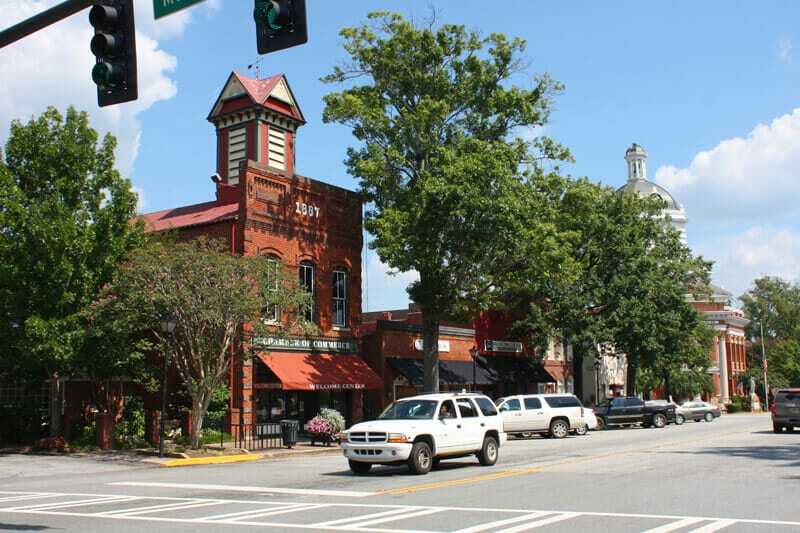 It’s one of the few towns in Georgia that escaped destruction by the hand of General William Tecumseh Sherman during the Civil War. During his March To The Sea, General Sherman destroyed Atlanta and many other towns in Georgia, and it is commonly thought that he spared Madison because of its beauty. In reality, it is because Madison was the home of pro-Union U.S. Senator Joshua Hill who attended Westpoint with Sherman’s brother and they made a gentleman’s agreement to spare the town. But whatever the reason, thankfully Madison was spared Sherman’s “scorched earth” tactics and remains well-intact today. I tried to find a more friendly picture of General Sherman but there weren’t any. Holy cow, I wouldn’t want to cross this guy for anything, know what I mean? He looks like he could use a little anger management counseling. Let’s take a little look around town. 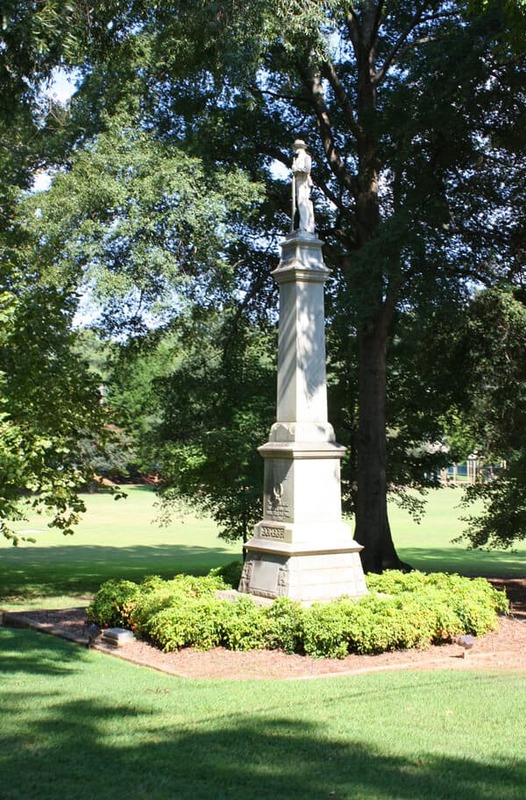 The Morgan County Confederate Monument located in Hill Park on S. Main St. in Madison. 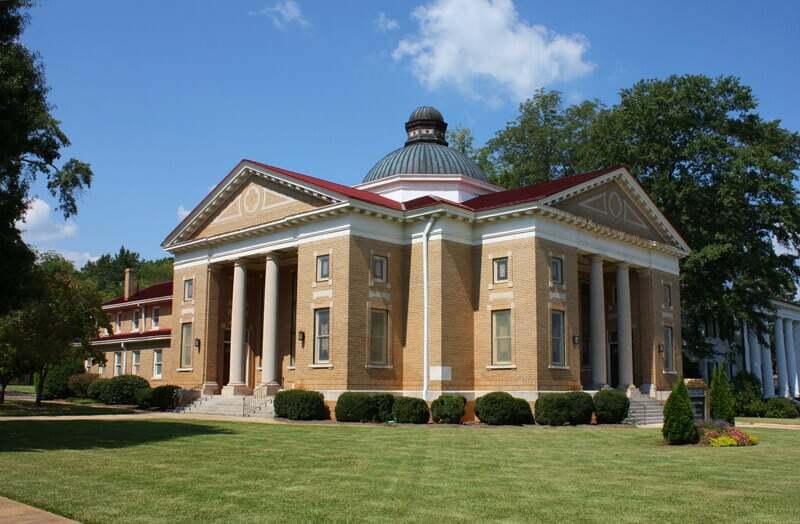 The Romanesque Revival-style Madison Graded School was built in 1895 and was one of the first graded schools in the South (ie, a separate classroom for each grade). Can you imagine going to a public school like that and in such a beautiful setting? The Church of the Advent, built in 1844, is where the Methodists originally met until moving to a new location (see next picture) in 1914. The First United Methodist Church, built in Akron style in 1914. It’s not antebellum, but it’s still a really neat historic building. 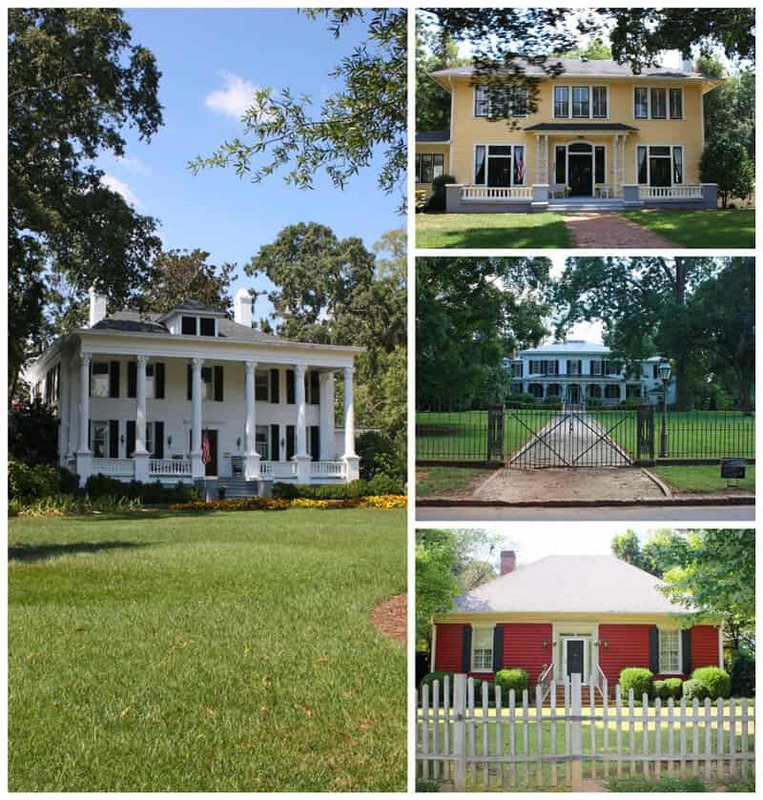 Madison boasts nearly 100 antebellum homes along its tree lined avenues, many of which are in beautifully restored condition. One of the standout characteristics of Madison is how little it has been effected by modern development, helping to retain its original atmosphere and charm. So many gorgeous old homes. The Hill-Huggins Home built in 1832. The Greek Revival home of the aforementioned U.S. Senator Joshua Hill who convinced General Sherman to spare Madison. 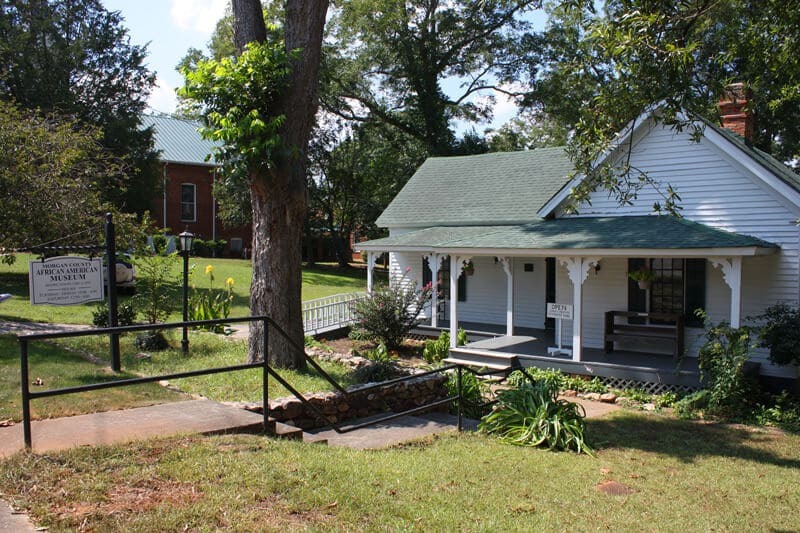 The old Horace Moore House, circa 1895, is now the Morgan County African-American Museum whose mission it is to research, collect, educate, and preserve the history and the art of the African-American culture. Another beautiful home – and available for purchase! 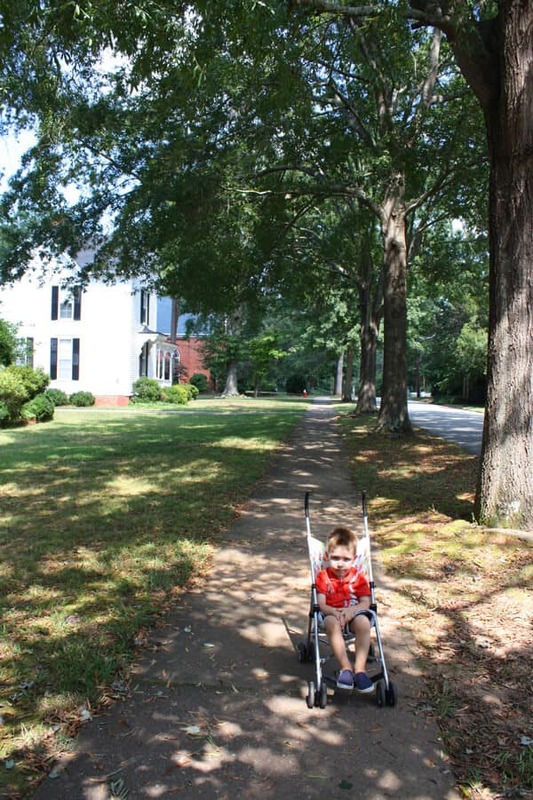 Our son chilling in his little sister’s stroller, enjoying the shade under the beautiful old trees. His little sister was enjoying the luxury of napping in the Baby Bjorn carrier while we walked around. Below, the Foster-Thomason-Miller home was built in 1883 and has a wealth of history behind it. At the time it was built the local paper referred to it as “the most elegant country home in Middle Georgia.” Situated on 11 acres, 5000 sq ft with 14 ft ceilings, the original elaborate interior was inspired by the tenets outlined in Oscar Wilde’s lecture on ‘The House Beautiful’ given by Wilde in Atlanta on July 4, 1882. Unfortunately the home suffered a fire in 2001 and has been waiting for someone to purchase and restore it ever since. 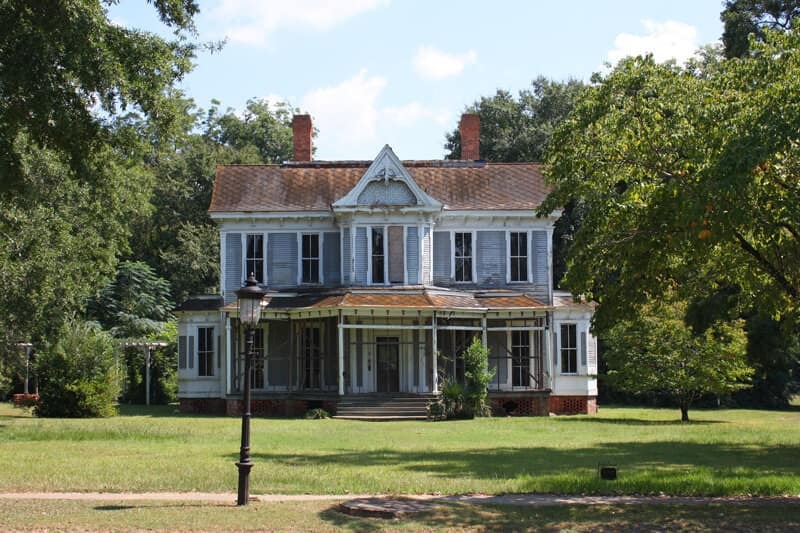 July 2018 update: I just got word that the Madison-Morgan Conservancy have purchased this home and have been working on stabilizing it, which is such great news. It will be listed for sale in the near future. Below left is Heritage Hall, another Greek Revival home built in 1811. 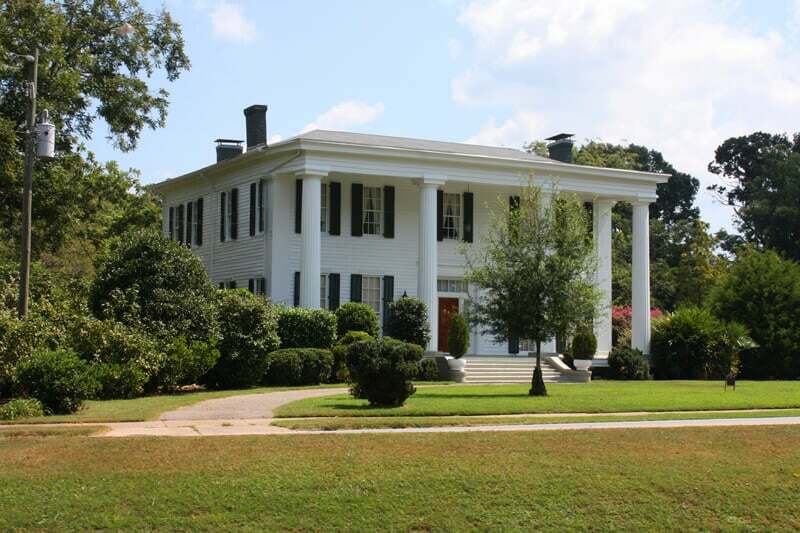 It was a private residence for 166 years until 1977 and is now maintained by the Morgan County Historical Society. Fully restored inside and out, it’s the most visited tourist attractions in Madison. There are a number of really old homes in Madison, the oldest of which is the Roger’s House built in 1809. From what I’ve heard it’s open for tours all year round. Below left is the Hunter House, a beautiful Victorian house built in 1883 and they’ve recently been working hard to restore it. There are many more historic homes and buildings in Madison that we haven’t covered that you’ll want to explore if you get the chance to visit. The town is very pedestrian-friendly and we were able to cover a lot of ground even with our two little ones in tow. 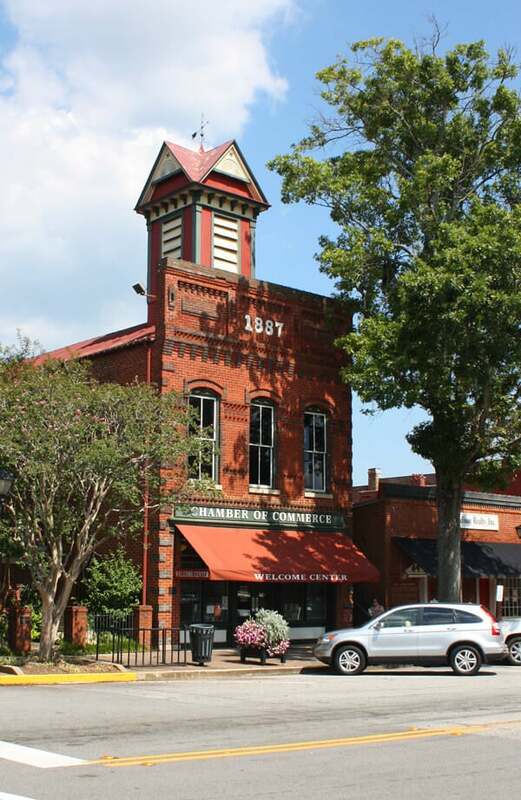 We enjoyed immersing ourselves in the historic atmosphere of this town. 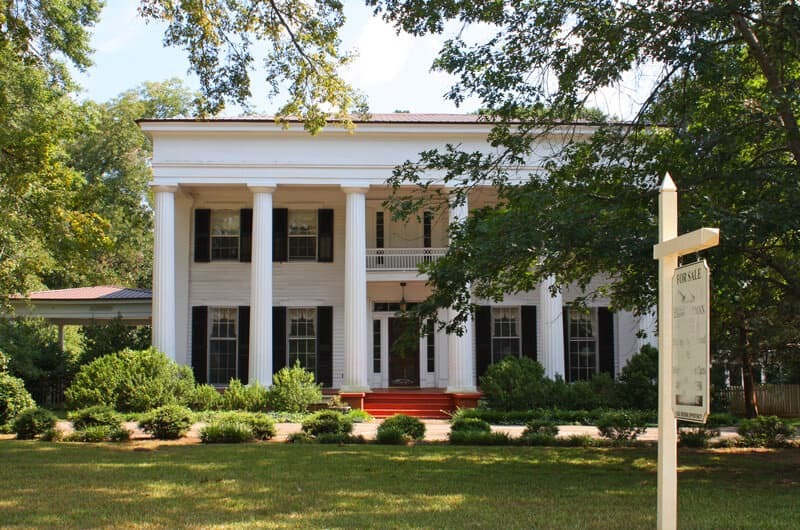 To appreciate some antebellum beauty and experience a true taste of old Southern charm, visit Madison, Georgia. I enjoyed this so much! Absolutely gorgeous photos. I’ve traveled to the South a few times but have never been to Madison. I’m a history buff myself and love how Madison has remained so true to how it used to be. Your article has inspired me to include Madison on my next trip to Georgia, thanks so much for sharing your experience! Thanks, Katherine! You’ll really love Madison. We’re looking forward to going back again when the kids are little older so we can spend a little more time doing tours of the homes and looking more into its history. Have fun! The last time I was in Madison was when I was about 10 years old. My parents really wanted to see it and made a family trip out of it. I hadn’t remembered much about it but your pictures brought back some memories. Really a neat place and I will definitely be going back for a return visit with my wife. Thanks for another great article. That’s awesome, Nate, have a great time! Absolutely beautiful! LOVE how quaint and charming Madison is. I’ve never heard of it but will definitely look into it, thanks! It really such a super neat town, Cori. We really enjoyed it and look forward to making a return trip. It would be a dream to own one of those gorgeous old homes – just beautiful! Lovely article, Kimberly, thanks. It sure would, Teri, I love old homes. So much character and I love the history behind them. Thanks for the wonderful article! The building you couldn’t identify is the First United Methodist Church. I live in Madison and work at the Welcome Center. Hope you will return very soon! There is a coincidence of you placing the Church of the Advent and the First United Methodist Church photos adjacent to each other. The Church of the Advent, built 1844, was the original Methodist Church used by the congregation until they constructed their “new” building in 1914. Glad you enjoyed the town and we look forward to your return visit! Ah, very good! Thanks for the info, I’ll add that in, too :) And thank you reading this article! Ooops, think you miss understood us. 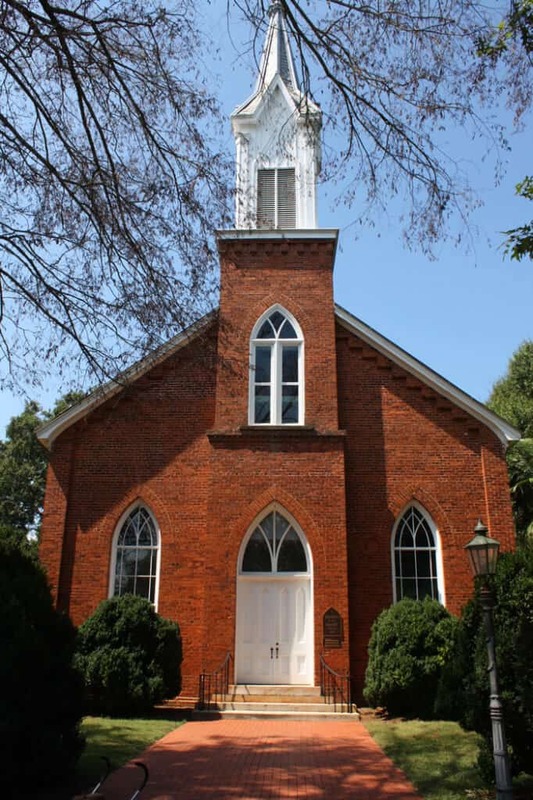 The Church of the Advent is the old Methodist church built in 1844. Then the Methodists moved in 1914. You had me at the word, ‘antebellum’ but then I really fell in love because of the photos!! Now I too want to visit. Perfect timing too (and I wonder if the universe is trying to tell me something) because I was just talking about a visit to Georgia this week with the Atlanta CVB. Maybe I could visit both ;) Thanks for sharing! Kirsten, if you’re going to Atlanta you SO must visit Madison – it’s less than an our away! A few of these gorgeous homes conduct tours. Oh, and then there’s the Madison annual chili cook-off and Fall festival if you’re going in October :) I love Georgia (more posts to come!). Have a blast! So many fond memories of this wonderful little town! I grew up visiting my grandparents in Madison who lived on Main St., only a couple of blocks away from the downtown area. What a beautiful, historic town! I love those plantation style homes. They remind me a lot of this one street in a tiny town near where I grew up. All majestic. I always imagined what hide and seek must of been like growing up in a house like that! I know, those old mansions are fascinating and I’ve always wondered about secreted passages and fun thins like that! Ya know, I’ve been to Georgia countless times, but I don’t think I’ve ever explored any other cities other than Savannah and Atlanta. Looks like I need to go off the beaten path a bit! These homes are just gorgeous. 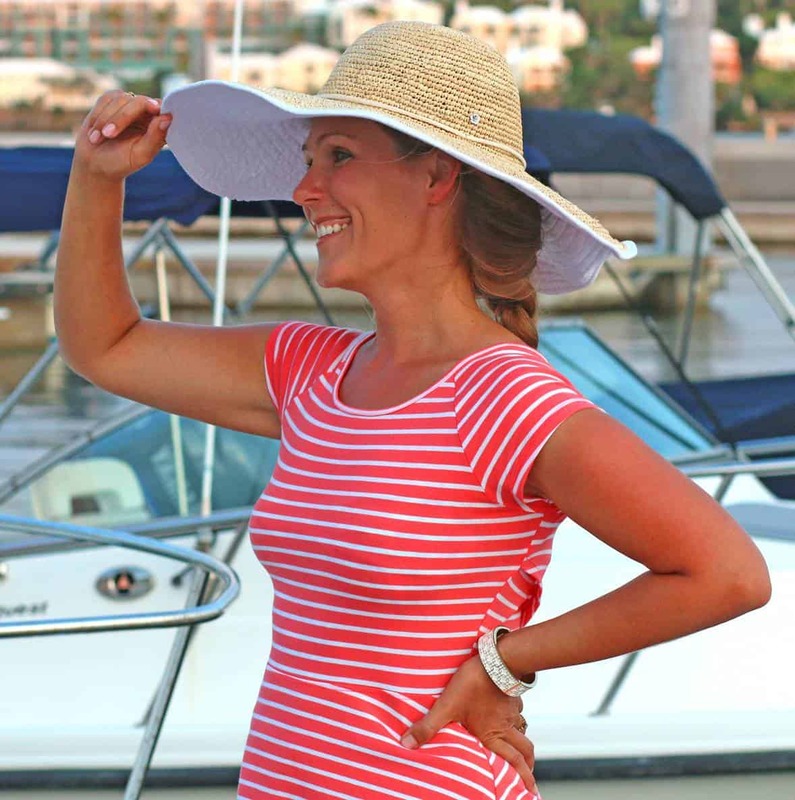 Rachelle, Madison is less than an hour from Atlanta – hope you get to visit it next time! 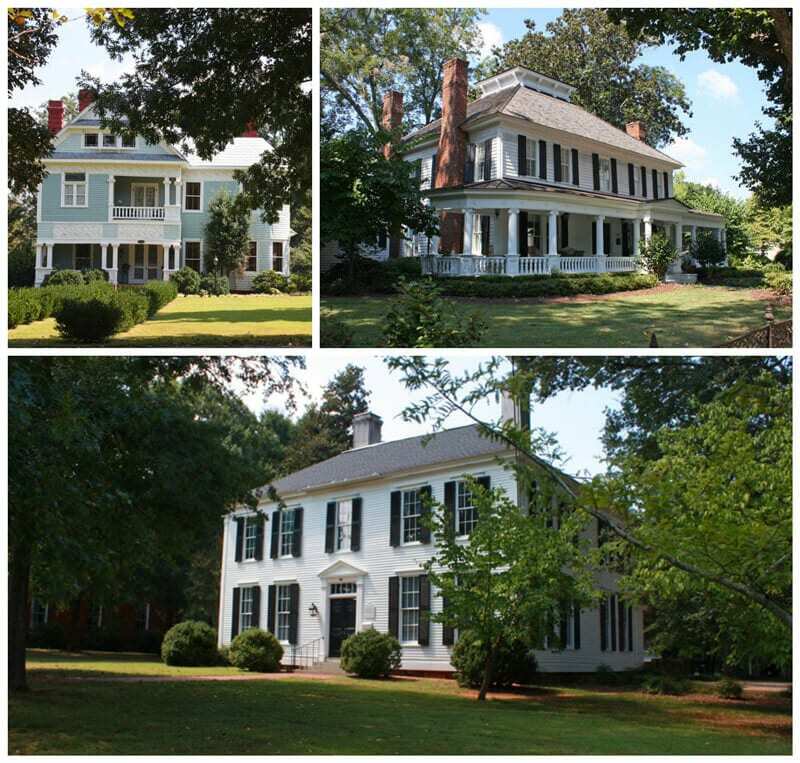 For anyone visiting Georgia, if you’re remotely interested in American history or just appreciate beautiful old homes and architecture, visiting Madison is an absolute must! Thank you, I’m glad you enjoyed it! We were staying north of Atlanta during our visit and unfortunately I’m not familiar with any of the accommodations near Madison. I’d recommend getting in touch with the folks at madison.org – they are super friendly and no doubt will have some great recommendations for you. Madison is especially beautiful during the Christmas Tour each year. Have been many times and never tire of this historical town. Make sure to see the homes off off Main St. Thanks for the tip, Brad. I would love to visit Madison during the Christmas season. If the Christmas Tour includes entrance into several of those homes beautifully decorated for Christmas, that sounds especially nice. Contact the Chamber of Commerce and they will be able to tell you which homes will be on the tour. Also some of the churches are also on tour. Recommend the candlelight tour and glad you have found this jewel of a town. Also consider Newnan, Ga. This is where I reside and it also has beautiful homes and outstanding downtown square. I sure will, Brad, thanks. 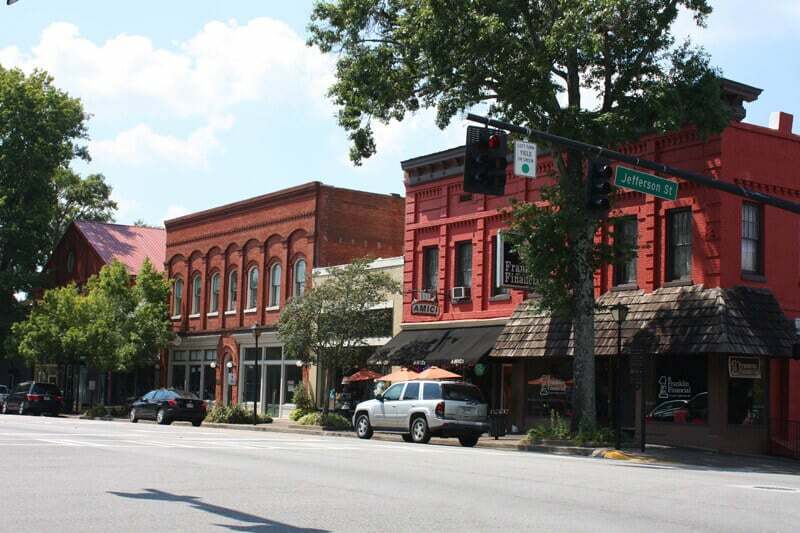 Thanks also for introducing me to Newnan, we look forward to checking it out. 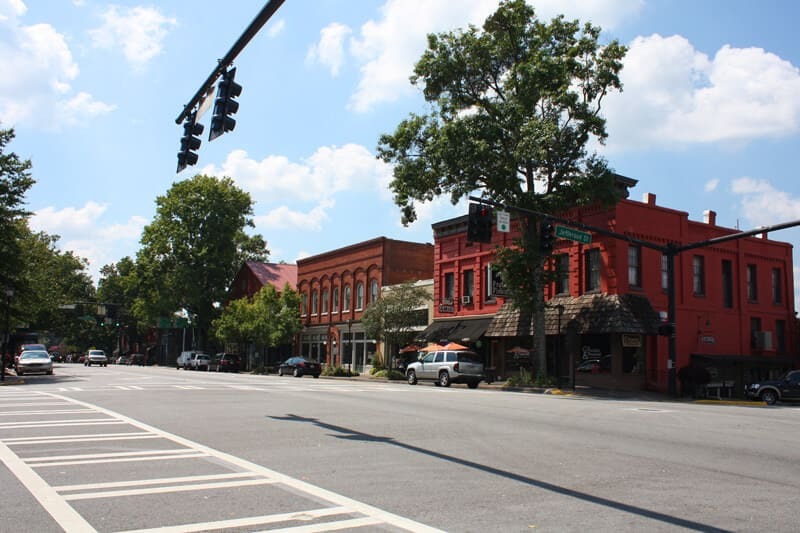 We’re hoping to visit my in-laws again in GA and are looking forward to exploring more of those historic towns. Wonderful article. The Old South is full of marvelous history and architecture. 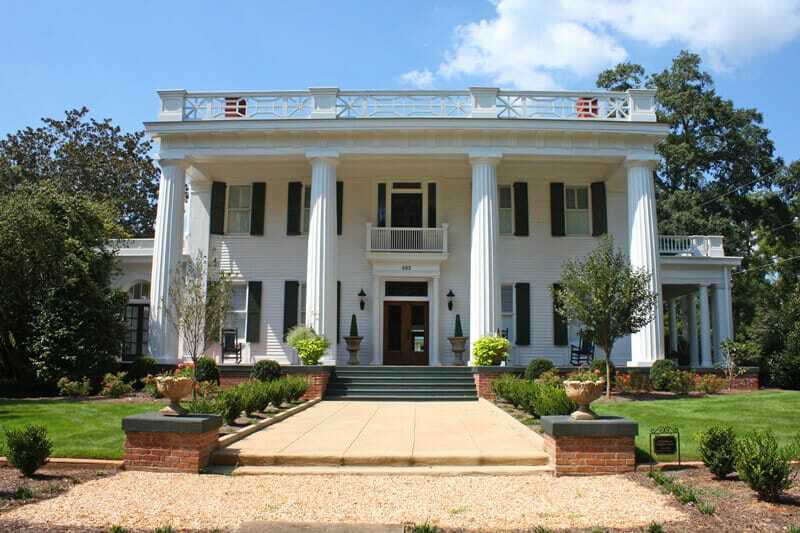 Go visit Eufala, Alabama, for some beautiful homes and scenery on the river. I have been through Madison many times and I always try to stop and smell the roses. Thank you, Jim, I’m glad you enjoyed it. I looked up some pictures of Eufala and you’re right, it’s stunning! Will definitely keep it mind for our next trip to the South, thank you! it very much here in NE FL. I very much enjoy your site. 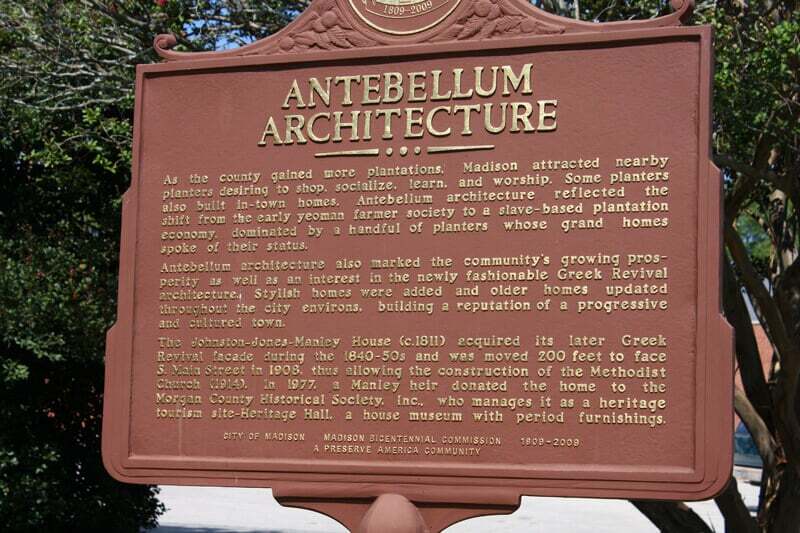 Headed to Madison, Ga next week so we’ve been researching the history. Looks lovely. Can’t wait! Have a wonderful time, April! I was born in Madison, GA where my mother was raised and after she married she and my father moved to the Atlanta area. I met and married my husband who was also born and raised in Madison and have enjoyed living here for the past 38 years. We do love it here and I enjoyed reading about your visit.